Town & Country Veterinary Hospital is a small animal practice in Salt Lake City, Utah. I worked with the hospital to give their out of date website a complete overhaul and refresh their color palette to feature a richer green, with warm accent colors. The primary calls to action for this site were to call the hospital directly, contact or make a request through the site, and to direct viewers to their 5 star reviews on Yelp. 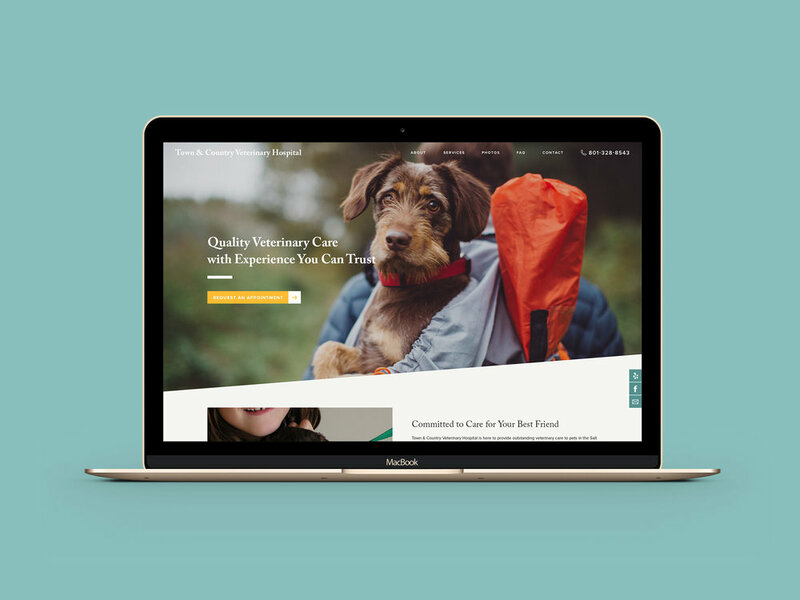 Their previous website did not have a mobile view, so we made sure the new site was completely responsive so that the mobile site is just as easy to navigate as the desktop. Our other priority was to create an alternative to an expensive and unreliable contact plug-in by creating a custom request form that handles both new and existing clients.